Suffer - 16" by 16" based on the traditional quilt block Crown of Thorns. An abused person often endures a lot of suffering. This website defines abuse and describes many of the tactics used by an abuser. The types of abuse described here include physical abuse, emotional abuse, sexual abuse and coercion, reproductive coercion, financial abuse, and digital abuse. Here is a list of emotional abuse tactics that are often not seen by some as a tactic of abuse. Attempting to control your appearance: what you wear, how you cut your hair, etc. A person suffering from abuse may have a lot of mixed emotions in that they love their abuser but are treated badly. They may think that by suffering through, they can help or "fix" their abuser. They may think that no one has shown their abuser "real love" and that if they try harder they can fix the situation. They often believe that enduring abuse can protect other vulnerable people around them (including their abuser). In the case of children, they may actually be teaching them that it is OK to stay in a bad relationship or that they need to endure bad things rather than take control of their situation. At the same time, other people can point to that "need" to stay as weakness. When in an abusive relationship for an extended time, people can start to accept suffering as a part of their relationship and their life. And continually appeasing and trying to 'adapt' to the abuser also becomes the new normal. Domestic abuse quite often causes friends and family, or secondary victims, to suffer. The abuser can attempt to damage friends and family's relationships, reputation, and property in an attempt to hurt the original target, even at times manipulating or forcing them to do this damage themselves. Remember, it affects ten million in the US every year. If you or someone you know is experiencing domestic abuse, please know that the folks at the National Domestic Violence Hotline (1 800 799 SAFE or thehotline.org) are ready to listen and support you, as well as refer you to a local program or organization. If you observe someone being abused, you can also call the hotline. A good samaritan call can save a life. 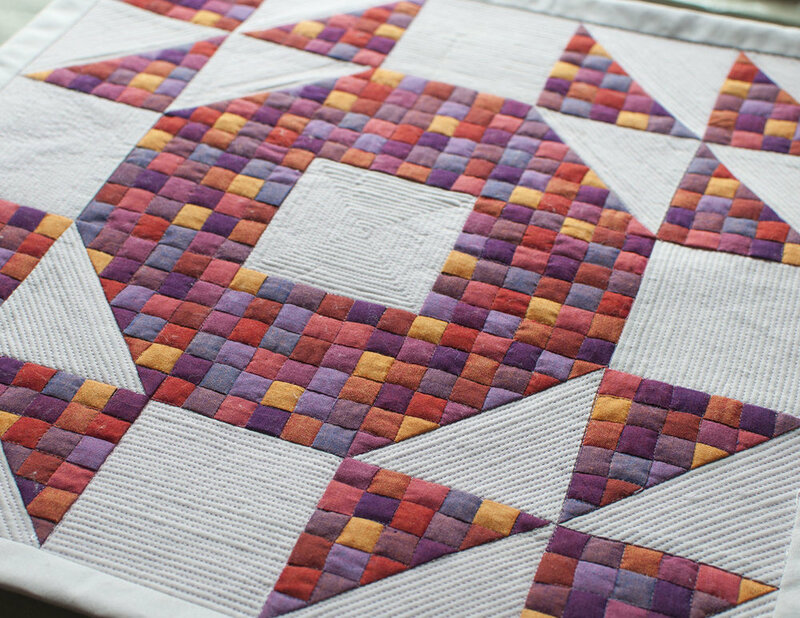 See all of the Domestic Abuse Quilts here.